Blair Hesp, Managing Director at Kainic Medical Communications reflects on their working day, which is now ending in New Zealand, and looks forward to dinner! Today started out fairly quietly, with the team settling in to work on some projects that we’ve been chipping away at over the last few days, including developing content for an Australian public health website, editing a document for an Australian government health agency and data checking and referencing content for a UK-based client. This was unusual for us as, more often than not, we have overnight, last-minute, no-notice work arrive in the morning from our UK-based clients that takes priority. Therefore, it was a little bit unusual to receive an urgent request from a UK client in the afternoon NZ time. We worked out that it must be 2AM in the UK and our client had a taxi to catch to the airport before 7AM to get to a conference. So it was a case of dropping everything for a few hours so that our client had two data-checked and referenced slide decks in their inbox before they left home. A nice introduction for the growing team at Kainic who are learning the med comms trade, largely in a freelance capacity, about the pressures faced by full-service agencies in Europe. 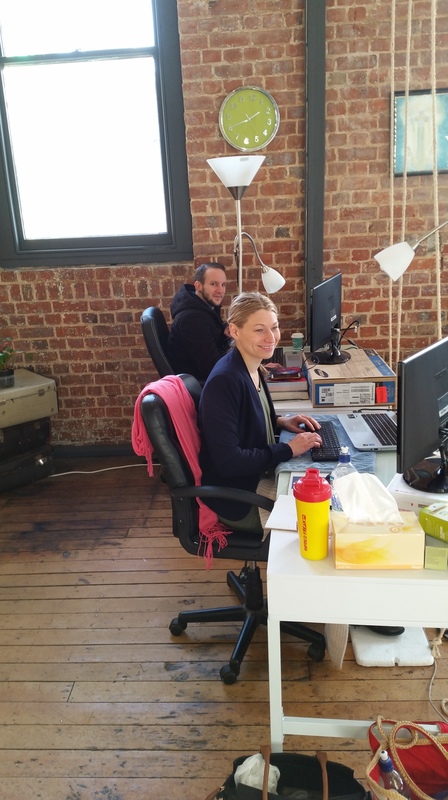 As you can see from the photo, Jodi (Associate Medical Writer) and Shane (Medical Writing Intern) are hard at work in our historic warehouse office in Dunedin. Of course, one of the not so well-known benefits of being in NZ, and a nice reward for our work today, is going home with some fresh tuna steaks from the boys down the hall who’d been on a fishing trip. This entry was posted on June 10, 2015 at 08:30 and is filed under In the office. You can follow any responses to this entry through the RSS 2.0 feed. Both comments and pings are currently closed.